Here's a role reversal that doesn't meet the eye, and people need to understand! Once upon a time, wild animals could have been seen as a threat to humans and their domesticated animals. Now it is for the most part the other way around. Grazing animals and human populations are crowding out wild animals to the point that many species are at risk. Big surprise, but there's a conflict between being a big hamburger consumer and being a lover of lions, tigers, and bears. If you want a world with lots of splendid wildlife, you need to use less land for food production, which means eating more plants. 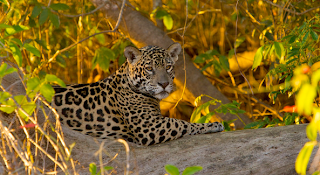 Plus, wildlife conservationists have to become more clever. It turns out the old way--creating big nature preserves here and there--didn't allow populations to mix. 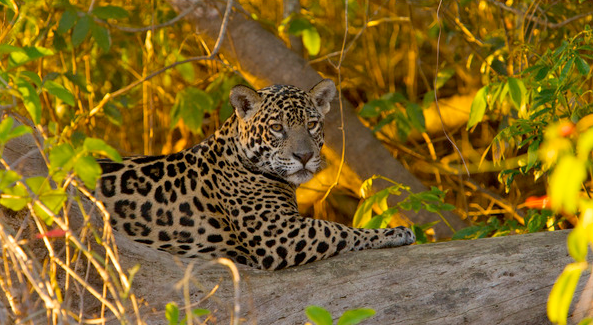 The new way is to create corridors between one preserve and another, as this article about jaguar corridors in Costa Rica explains. Got suggestions for my radio interview next week? Let me know.